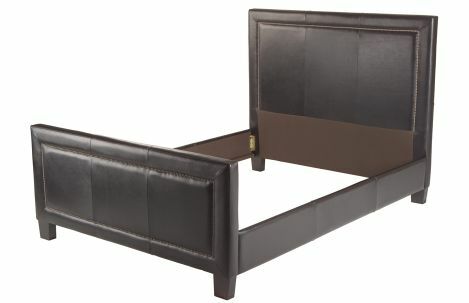 The luxurious bed boasts fully-upholstered headboard, footboard and side rails distinguished by single needle topstitching. 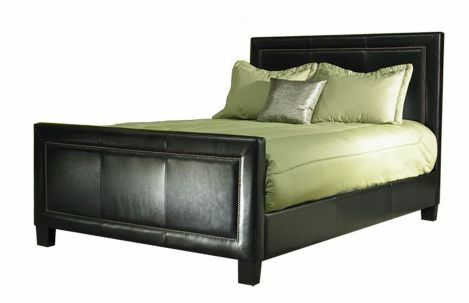 For further luster, antique brass tacks on the headboard strike a rich contrast against either leather or Ultrasuede. 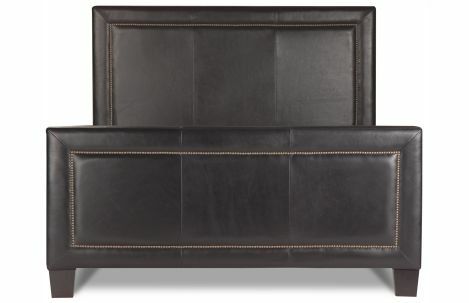 Also available as a headboard only, or with a low footboard option. Acorn, espresso (black) or walnut finish legs. Low footboard available. Brass, pewter and chrome nail head. Also available without nail head.